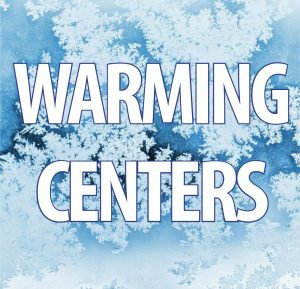 Potential record-breaking cold temperatures are expected by late Tuesday and early Wednesday and governments and private and public entities plan to have warming centers open to aid residents. • The Carpenter’s Place, 1149 Railroad Ave. Rockford, Monday-Friday, 8:15 a.m. – 3 p.m.
Monday-Sunday, 8 a.m. – 5 p.m. , Men’s Crisis Center Monday-Sunday, 7 a.m. – 7 p.m.
• Pecatonica Village Hall, 405 Main St. Pecatonica, Monday-Friday, 8 a.m. – 4:30 p.m.
• Village of Machesney Park, 300 Roosevelt Rd. Machesney Park , Monday-Friday, 8 a.m. – 4:30 p.m.
• Salvation Army, 422 S. Main St. Belvidere, Monday-Friday, 9-11:45 a.m., 1-4 p.m.